Who better to look after your holiday savings fund then the person who looks after the Pumpkin King? 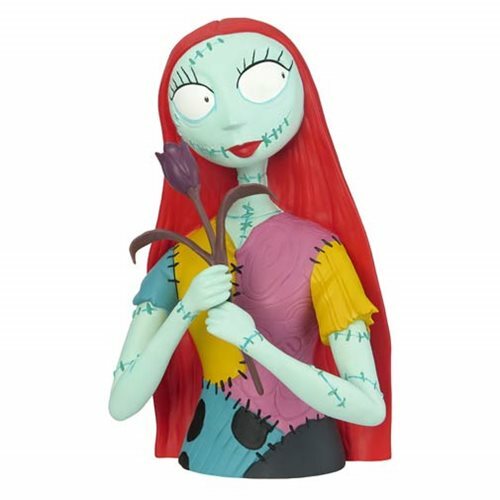 From Tim Burton's The Nightmare Before Christmas, this molded bust bank is sculpted after Sally. Measuring approximately 8-inches tall, this Nightmare Before Christmas Sally Bust Bank will look great on your desk or book shelf! Ages 4 and up.